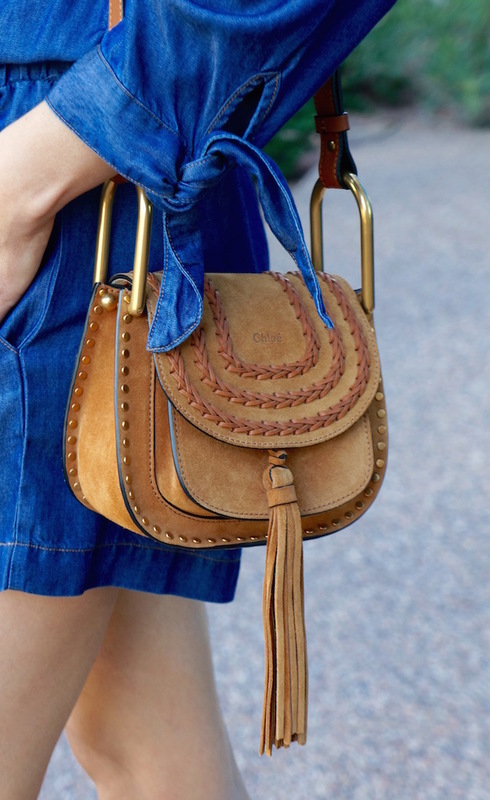 It’s not quite over-the-knee boot weather yet, but fall is not too far away and we are more than ready to start swapping out our summer wear for all the luxe fall fashions we’re seeing. A few of the most coveted trends of the season, include rich velvet, shiny metallics, the jacket, feathers and statement outerwear. Yes, designers and brands are in an indulgent mood… opulence is the order of the day. 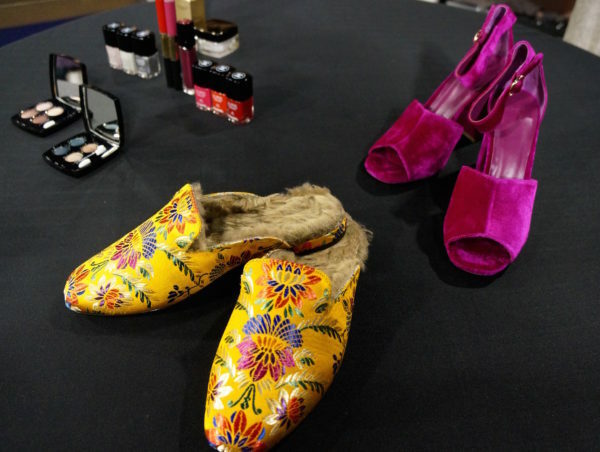 Angela has the scoop on the latest fall trends and how transition your look from summer into the new season, including what you can wear NOW on Channel 12’s Arizona Midday. All of the gorgeous outfits are from Saks Fifth Avenue at Biltmore Fashion Park. 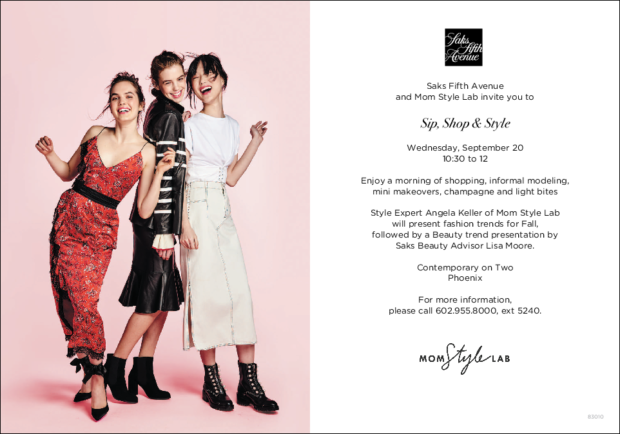 AND, exciting news — “Sip, Shop & Style” with Mom Style Lab and Saks Fifth Avenue is back! Mark your calendar for Wednesday, September 20th from 10:30am – 12pm and join us for a fun morning of champagne and fall fashion. Get all the details here — you won’t want to miss it. 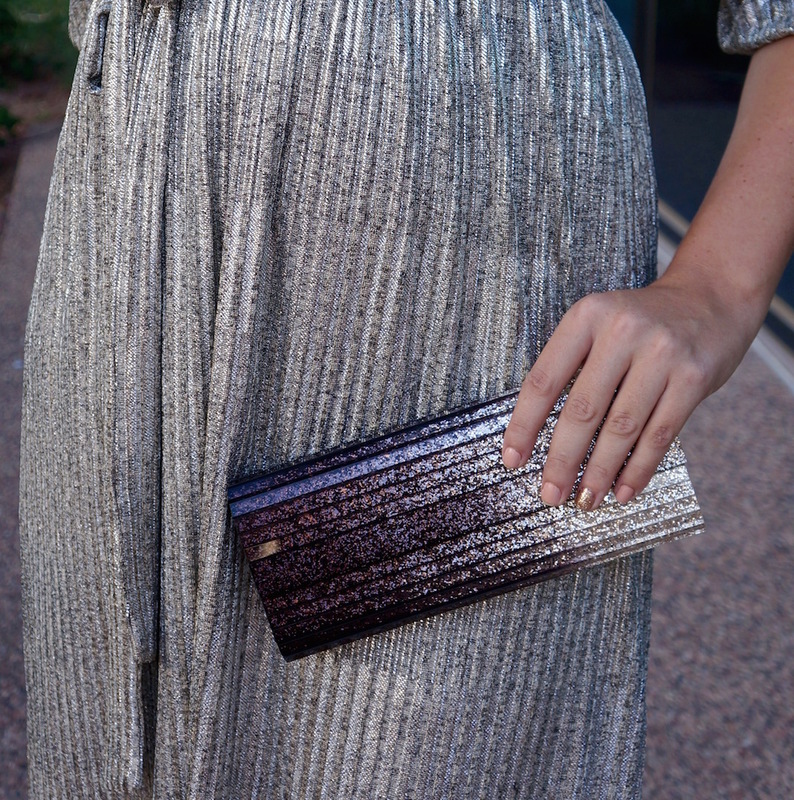 Outfits and accessories from Saks Fifth Avenue at Biltmore Fashion Park in Phoenix, Arizona (unless otherwise noted). Special thanks to FORD/Robert Black for providing models Aubrie and Dominique! And, a huge thank you to makeup artist Lisa Moore for glamming up all our models! Follow MomStyleLab on Instagram for behind-the-scenes photos on the set. Don’t forget to mark your calendar for our upcoming event!